数週間前、空から多くの毒が降って来た。灰、火山毛、硫黄と硝酸カリウムを含んだ雨が混ざり合い、地面に吸い込まれていった。家畜が牧草地、草の上を歩き回るだけで、口、鼻、脚が山吹色に染まり、赤肌となった。水は生暖かくなり、水色に染まり、底の砂利は灰色になっていった。あらゆる植物は枯れ、腐り、灰色になり、その範囲は燃え広がるが如く広がり、居住地域に迫ってきた。 — Rev. Jón Steingrímsson, Fires of the Earth, The Laki Eruption (1783-1784) ISBN 9979-54-244-6. 1783年の夏は驚くべき恐ろしき現象の前触れだった。小石が激しく降り注ぎ、雷雨が襲った。独特のもや、くすぶった霧が発生し、数週間にわたって王国の多くの郡を驚かせ、苦しめた。ヨーロッパの他の地域でも同じようなことが何箇所でも起こった。それは異様な風景であり、今までに人類が体験したすべての経験と異なっていた。6月23日から7月20日までの日記を読み返して、私は気付いた。その期間、さまざまな方位から風が吹いたが、その風で空気が入れ替わることは無かった。正午の太陽はまだら模様で、月と同程度の明るさしかなかった。太陽の色は、まるで錆びた土か、部屋の床のようだった。しかし日の出、日の入の際には、燃えるような血の赤色を見せた。気温が上がり、肉屋で売られている肉も2日で駄目になった。蝿が頭にたかるため、馬は半狂乱になり、言うことを聞かなくなった。人々は太陽の怒りによるものだと迷信的になった; [...] — Gilbert White - The Natural History and Antiquities of Selborne, Letter LXV (1789). — Benjamin Franklin - "Meteorological imaginations and conjectures" in Mem. Lit. Philos. Soc. Manchester 2, 373–377 (1784). ^ ステイングリームソンの自伝は英訳もされている。 A Very Present Help in Trouble: The Autobiography of the Fire-Priest ISBN 0-8204-5206-8. ^ Richard H. Grove, “Global Impact of the 1789–93 El Niño,” Nature 393 (1998), 318-319. ^ Wood, C.A., 1992. "The climatic effects of the 1783 Laki eruption" in C. R. Harrington (Ed. ), The Year Without a Summer? Canadian Museum of Nature, Ottawa, pp. 58– 77. ^ Luke Oman, Alan Robock, Georgiy L. Stenchikov, and Thorvaldur Thordarson, "High-latitude eruptions cast shadow over the African monsoon and the flow of the Nile" in Geophysical Research Letters, Vol. 33, L18711, 2006, doi:10.1029/2006GL027665. Grattan, J., Brayshay, M. and Sadler, J. - "Modelling the distal impacts of past volcanic gas emissions: Evidence of Europe-wide environmental impacts from gases emitted during the eruption of Italian and Icelandic volcanoes in 1783" in Quaternaire, 9, 25-35. 1998. Grattan, D., Schütenhelm, R. and Brayshay, M. - "Volcanic gases, environmental crises and social response" in Grattan, J. and Torrence, R. (eds) Natural Disasters and Cultural Change, Routledge, London 87-106. 2002. Grattan, J.P. and Brayshay, M.B. 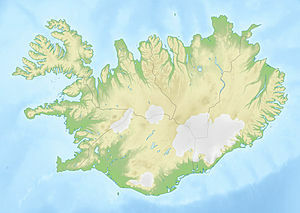 - "An Amazing and Portentous summer: Environmental and social responses in Britain to the 1783 eruption of an Iceland Volcano" in The Geographical Journal 161(2), 125-134. 1995. Richard B. Stothers - "The great dry fog of 1783" in Climatic Change, 32, 79–89, 1996. Thorvaldur Thordarson and Stephen Self - "Atmospheric and environmental effects of the 1783–1784 Laki eruption; a review and reassessment" in J. Geophys. Res., 108, D1, 4011, doi:10.1029/2001JD002042, 2003.